Aloe is thought to be one of the oldest remedies noted for its healing qualities. A commonly used plant extract that soothes itching and reduces redness and is excellent in calming sunburn or redness caused by the cold. 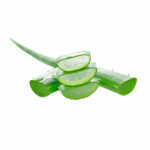 Aloe vera has soothing properties, antioxidant qualities, and serves as a hydrating agent for skin. Summary: We use Aloe vera in Baby Kingdom to hydrate, calm, soothe and help protect the skin. This extract is a powerful anti-inflammatory agent that can heal acne, decrease eczema, soothe dermatitis, improve skin’s natural glow and even speed the healing of burns. 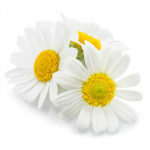 Chamomile extracts can even increase the efficacy of creams and lotions. While it’s beneficial for nearly any skin type, chamomile is especially powerful for dry or acne-prone skin. Chamomile flower extract is one of Nature’s best solution to inflamed skin in need of a healing boost. Summary: We love to use Chamomile in the Baby Kingdom collection to aid in reducing inflammation, but also cleanses and moisturises the skin while soothing irritation, invaluable qualities when dealing with damaged skin. Stinging Nettle is rich in Vitamin A, C, D, K and Vitamin B.
Nettle leaves have astringent properties, which helps in treating skin diseases like eczema, insect bites and chicken pox. 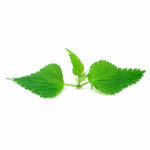 Nettle leaves have anti-inflammatory properties and can be used for treating skin burns and reducing the burn scars. Nettle leaves are rich in silica and sulfur. this helps in making hair shinier and healthier. Summary: We use Nettle Extracts in Baby Kingdom to aid in the healing process as well as soothing and calming, irritated and inflamed baby skin. We also love Nettle extract for its richness in vitamins and hydrating properties. Pantenol works on a variety of symptoms in different ways specifically helping with healing skin. Often found in sunburn lotion to treat skin, repairing the damage done by minor burns, helping to hydrate skin, and also to soothe, Panthenol also works towards stopping itching and possible irritations too. Summary: We use Panthenol in the Baby Kingdom collection due to its beneficial skin healing properties. Panthanol aids in hydrating, soothing and calming irritations for your babies’ skin. We love that Panthenol also aids in protecting baby delicate skin against aggressors, that go on to cause irritations, Panthenol also aids in speeding up the recovery of damaged skin. Vitamin E is a powerful antioxidant. It constantly patrols your body, looking for free radicals. When it finds one, it quickly destroys it. 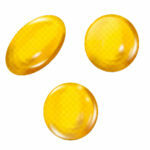 Vitamin E is a great moisturiser, vitamin E strengthens the skin’s natural barrier, reducing water loss. Now that moisture’s locked into your skin, it softens and plumps it up. The presence of Vitamin E ensures your baby has smooth and moisturised skin. Summary: We love to use Vitamin E in the Baby Kingdom collection for its anti-inflammatory and skin healing properties, but especially for its moisturising and antioxidant capabilities. Coconut oil is packed with antifungal, antiviral, and antibacterial properties It also is known to fight infections and boost the immune system. The oil is extremely beneficial for skin and has lasting effects. 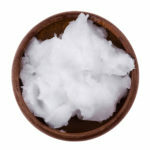 Coconut oil is one of the best natural moisturisers and can work wonders for dry or chapped skin. Coconut oil is excellent for rashes, due to its disinfectant and antimicrobial properties, coconut oil helps fight painful acne on your baby’s skin that could cause discomfort to the baby. When the wounds of eczema open up, they cause a lot of pain and itchiness. In babies, the disease mostly occurs on the forearms, neck, cheeks, and legs. The healing properties of the coconut oil cure the damaged skin naturally without causing any side effects. Summary: We love to use Coconut oil in the Baby Kingdom collection for its powerful antibacterial properties, its’ amazing moisturising abilities and excellent healing properties. Often called ‘liquid gold’, argan oil is an organic product extracted from the kernels of the argan tree, which is native to Morocco. It is extremely rich in beneficial nutrients including fatty acids and vitamin E. Its properties make it particularly beneficial for the hair and skin. With its high vitamin E and fatty acid content, argan oil is the ideal product to give skin a natural boost. It absorbs easily and is non-greasy and non-irritating, which makes it a great natural moisturiser. Argan oil is proven to make hair softer, silkier and shinier. People suffering from dry skin or conditions such as eczema which can leave skin raw, flaky and itchy will benefit immensely from argan oil. The vitamin E and fatty acids in argan oil are excellent for repairing damaged skin and providing it with nutrients which will prevent further dryness and irritation. 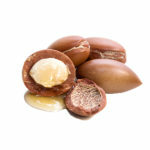 Argan oil also contains ingredients which soothe skin. The antioxidants in argan oil are generally beneficial for healing skin which is irritated, cracked, damaged or even burned. It is best used as a preventive for dry or sore skin, but it can also be used to speed up healing. Its properties include reducing inflammation, soothing pain and increasing healing rate. Summary: We use Argan oil in the Baby Kingdom collection for it’s great moistursing properties, especially for severe dryness or eczema. We also love Argan oils healing and protection abilities. Sweet Almond oil is rich in Vitamin E, monounsaturated fatty acids, proteins, potassium and zinc, besides a number of other minerals and vitamins, which explains why it is so good for our heart, skin and hair. 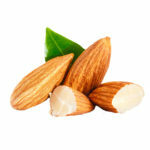 Almond oil is a mild, hypoallergenic oil that can be safely used even on baby skin. Almond oil can be safely used on sensitive skin as it is less likely to cause allergic reactions. When the skin is broken, it starts to weep and make crusty deposits. It also makes way for bacterial and fungal infections that can complicate the management of chronic conditions. Keeping affected skin soft and hydrated will aid in reducing the itching. Almond oil helps with this. Being a mild, hypoallergenic oil, it moisturizes the skin without irritating it further. Summary: We love to use sweet almond oil in the Baby Kingdom collection for its mild, naturally hypoallergenic moisturising properties that will aid in reducing itching and irritation in skin that is healing. Castor oil, when applied to the skin, penetrates deeply and stimulates the production of collagen and elastin This, in turn, helps soften and hydrate the skin. It delays the appearance of wrinkles and fine lines and makes the skin smoother, softer, and younger. Castor oil leaves you with smooth, supple, and revitalized skin. There are numerous benefits of castor oil for hair, not just promoting healthy mane, to treating various hair conditions! Scalp infection can cause major hair problems like bald patches, dandruff, and an itchy scalp. Using castor oil can help get rid of these issues. 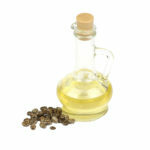 in answer to all hair woes, castor oil can be extremely helpful in treating dry and damaged hair. Summary: We use Castor Oil in the Baby Kingdom collection for its excellent healing properties on the skin and the scalp. Shea Butter is a skin superfood that comes from the seeds of the fruit of the Shea (Karite) tree and that is naturally rich in vitamins A, E and F. It offers UV protection (it is SPF ~6) and provides the skin with essential fatty acids and the nutrients necessary for collagen production. The concentration of natural vitamins and fatty acids in shea butter makes it incredibly nourishing and moisturizing for skin. It is often used to remedy dry skin and to help protect the skin’s natural oils. Summary: We love to use Shea Butter in Baby Kingdom collection for its amazing ability to moisturise delicate skin as well as offering skin protection from further damage. 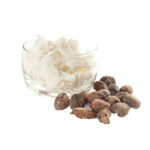 In addition, Shea butter offers anti-inflammatory benefits and is rich in vitamins, a super food for skin!